﻿ How to obtain citizenship in Chipre? Cypriot citizenship has multiple benefits. In the first place, the person can count on the same rights as any European citizen; in addition, this program allows you to include the entire family and there’s no need to renounce your previous citizenship because Cyprus provides for multiple citizenships. With a Cypriot passport, it is possible to travel to more than 157 countries, on all continents, without needing to request a visa. A very attractive element is that the financial regime in Cyprus is extremely easy-going, since there are no taxes set for inheritances and property. With Cypriot citizenship, capital, services and goods can be moved freely throughout the entire European Union. A second option is to invest in several residential properties. One of these properties must be used as the permanent residence of the investor and have a minimum value of 500,000 euros; meanwhile, the other 1.5 million must be invested in other properties which can be sold after three years. The investor’s parents can also apply for Cypriot citizenship, once the investor has acquired his own. In order to achieve this, his parents will have to buy a property in the Republic of Cyprus, at a value of no less than 500,000 euros. An advantage of this citizenship by investment program is that it includes the investor’s immediate family, meaning his spouse and dependent children up to the age of 28. To apply for this program, it’s essential that the investor presents a clean criminal record, issued by his original residential country. A big advantage of the program is that the investor and his family won’t have to physically reside in Cyprus, neither before nor after the approval of his citizenship. Another element that distinguishes Cyprus’ citizenship by investment program is that, once he has presented all of the documents, approval time is only 3 months. How is Cypriot citizenship obtained? The citizenship by investment program has various options. One of them is to invest 2 million euros in buying real estate. The investor will have to keep this property for a period of at least three years. Once this period has concluded, the investor has the right to sell his property, but he will have to buy another at a minimum value of 500,000 euros. Citizenship granted to spouse of the investor and minor children as well as to the financially dependent adult children up to the age of 28 who are full time students. An investor’s parents are now entitled to apply for Cyprus citizenship provided that they own a permanent residence worth at least €500.000. Alternatively, the investor and parents acquire one residential property with a total value of minimum €1mn. The applicant must have made an investment of at least €2mn for the purchase or construction of buildings or for the construction of other land development projects or other infrastructure projects. The investment in real estate must be retained for a minimum of three (3) years, after which point the overall investment in real estate can be reduced to a minimum of €500,00 in residential property (excluding V.A.T. that was paid on initial acquisition). Purchase, creation or participation in Cyprus businesses and companies based and operating in Cyprus with investment cost of at least €2mn. The invested funds shall be channeled towards the financing of the investment objectives of these companies exclusively in Cyprus, based on a specific investment plan. 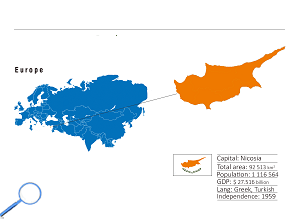 Such companies or organizations are required to have a physical presence in Cyprus and to employ at least five (5) Cypriot citizens or citizens of the European Union member-states, with significant activity and turnover. which invest exclusively in Cyprus, in investments that meet the criteria of this Scheme or in areas approved by the Ministry of Finance. In the context of this criterion, the applicant may also purchase special Cyprus governmental bonds of a maximum amount of €500.000, which will be issued by the Public Debt Management Office of the Ministry of Finance, on condition that the investor will retain these bonds for a three (3) year period. If the applicant wishes to invest in both real estate and in another option of the criteria above, the overall investment should be at least €2,500.000. In case that the purchase value of the permanent privately owned residence in Cyprus exceed the amount of €500,00 plus V.A.T., part of this additional amount can be used for purposes of supplementing the total amount of the investment made on the basis of the above criteria. The applicant must hold a resident permit in Cyprus. Filing of the citizenship application and residence permit application can take place simultaneously. A simplified procedure of obtaining a residence permit is introduced where an application for residence permit is filed exclusively for the purposes of the citizenship application.